The first of 40 young people to receive Weston Jerwood Creative Bursaries – paid vocational training placements in arts organisations around the UK – will be announced today, Tuesday 16 June 2015, by Jerwood Charitable Foundation. The Weston Jerwood Creative Bursaries programme is developing talent and diversity in the arts by committing £430,000 directly to young people from lower income backgrounds. The programme is run by Jerwood Charitable Foundation with the support of Garfield Weston Foundation, Andrew Lloyd Webber Foundation and J Paul Getty Jnr Charitable Trust. It aims to create a more level playing field for talented individuals to break into competitive arts careers. Between now and September 2016, 40 outstanding recent graduates will undertake paid vocational placements in 40 of the UK’s most dynamic arts organisations including: Citizens Theatre, Donmar Warehouse, Hepworth Wakefield, The Lowry, Opera North, National Theatre Wales, Prime Cut, Sadler’s Wells, and Turner Contemporary. During their placements, bursary recipients will have the opportunity to kick-start their careers by working directly on major productions and events with some of the country’s leading artists, performers and cultural leaders. The programme will be officially launched this evening at Jerwood Space in London by award-winning writer and director David Lan, who is Artistic Director of the Young Vic, London, and Chair of the influential What Next? movement. He will be joined by representatives from the supporting charitable foundations, the 40 host organisations and a number of bursary recipients, both from this edition of the programme and alumni of the 2010-2012 pilot programme, the DCMS Jerwood Creative Bursaries. 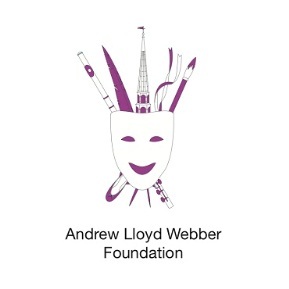 In addition to their placement, bursary recipients will receive support outside their host organisations through a dedicated mentor, and professional development through the Andrew Lloyd Webber Foundation Training Programme, which will run as a central component of the Weston Jerwood Creative Bursaries.